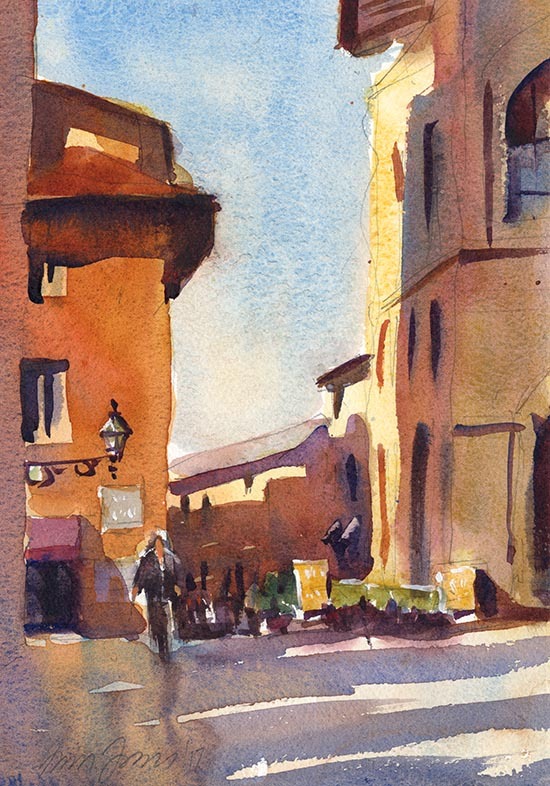 Plein air late afternoon sketch in the medieval town of Volterra, Tuscany. 7.5×11″ Fabriano Uno 140lb. cp.